The Academic Chicken Vs. 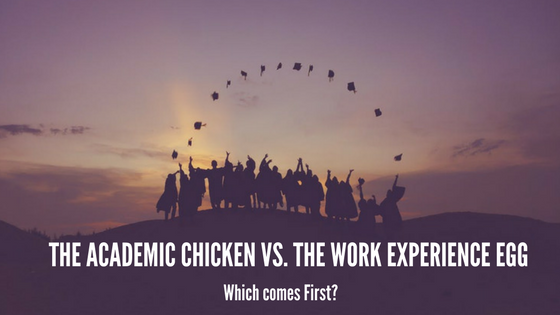 The Work Experience Egg – Which Comes First? Over the past couple of months, I have given a number of talks to postgraduate and second level students about careers in STEM-Science, Technology, Engineering and Maths in conjunction with various groups such as WITS (Women in Technology and Science), Trinity College Dublin and their Molecular Medicine postgrads, RCSI and for Science Foundation Ireland Smart Futures program during SciFest. The common theme at each of these events was careers in STEM, the different types of career paths you can take, and most importantly HOW to get your first job in this area. There are many different careers path you can take in STEM, such as careers in pharma, biotech, medical devices & ICT as well as many others, so first of all make sure you do your research around the different types of jobs out there and which ones you think you would enjoy. Once you have identified this, have a look at all the companies that have these roles and where they are located. 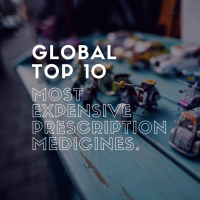 Yes, we do always hear about new jobs in Dublin, however there are numerous indigenous Irish companies and multinational companies based in Ireland with 9 out of the top 10 Pharma companies based here. Your C.V is obviously hugely important as in some cases, this may be the first impression you make on someone. Make sure your C.V is well written and tailored specifically for each role. We have really useful C.V templates available on our website here . It is very useful to have an up to date LinkedIn profile which should include a picture brief summary of yourself. You can use this to connect to people you know and join groups and follow companies you may be interested in working with. Face to face networking can one of the most effective methods of securing your first role, be sure to attend careers day etc and bring an up to date version of your C.V with you. Although the above tips are extremely useful and the transferable skills we gain while studying for our degree, such as time management, organisational skills and communication skills to name just a few are imperative, I think our educational system should also step in and assist in making students more employable after years of study. Yes, there are courses out there that offer placements in industry but not everyone has the option to go to these colleges so in my opinion I think our educational system does need provide a more industry focused aspect in all courses to allow students to easily make the move into industry if they so wish. I would love to hear your thoughts on this and thank you so much for reading. A New Type of Microbe Has Been Discovered in Two Distant Clean Rooms. 1. 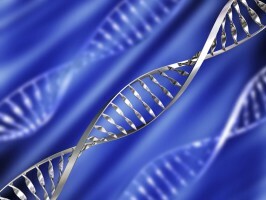 Ravicti: $794,000 per year – Ravicti is used to treat urea cycle disorders (UCD), genetic diseases that prevent the body from getting rid of ammonia. Horizon Pharma – Horizon have an office in Dublin city centre which focuses on CMO (Contract Manufacturing Organisation) Management and other centralised services. Biogen – the only company on this list without a direct presence in Ireland. Come on, Biogen, we don’t bite!